Lifeline of Lois F. Roets. MS. Ed.D. 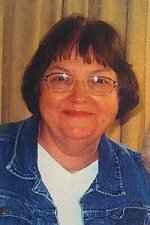 3/4/1937 Born in Breda, Iowa, to Charles and Mary Ann (Goecke) Schelle. Her parents, 4 older brothers and 2 sisters welcomed her. Younger brother came later. She was child 7 of 8. The Schelles were farmers who raised grains and livestock. They were early developers of hybrid seed corn. Lois F. Roets. MS. Ed.D. 1943-1955. St. Bernard elementary and high school in Breda, Iowa. Extracurricular for Lois: speech, plays, vocal music, Yearbook staff. She managed concession stand at basketball games. Freshman at College of Saint Mary in Omaha, NE, to be a teacher. She was first of family to go to college. She was lonesome for home that freshman year but learned a lot academically, socially, and living in a city. She sang in chorus and volunteered in art dept. Part-time jobs to pay for college: reading for the blind, cafeteria work. Joined teaching religious group Franciscan Sisters (FSPA) in LaCrosse, WI. Completed bachelors degree & teacher training; taught 6.5 years in Iowa and Wisconsin; learned and used skills of large organization; benefited from role models of teachers and dedicated persons; wrote and performed Ballads based on the Bible. Left convent, moved to unknown area to "start over" in Pardeeville, Wisconsin, to teach in public schools. In addition to teaching, she helped unionize teachers. She continued taking university courses. Married (Rev) Philip G. Roets at Catholic Church in Rio, Wisconsin. Father Roman Weidholz officiated. Family attended. Happy event. Educational Psychology. Focus: Human Learning & Motivation Theory. Taught elementary school in Pardeeville; served on village committees; wrote/edited works on Bible and education; took graduate classes; wrote educational materials for publishers. Lived in Madison, WI, 1976-1980. Moved to Iowa to be closer to our families in Iowa and Kansas; Lois begins what becomes her specialty: Gifted Education. Founded Leadership Publishers (1982) so writings in gifted education by Lois and Bible studies by Phil would be available to the public. Learned computer usage. Word processing became a major tool for both Phil & Lois. Some books by Lois are: Leadership: Skills Training Program for Ages 8-18; Understanding Success & Failure; Philosophy; Reader's Theaters (3 volumes); Incomplete Plays; In-service Manual for Gifted Education; Survey Research; Modifying Standard Curriculum for High-Ability Students, 40+education books. Completed Doctor of Education. Ed.D. Developed "Leadership: Skills Training Program for Students 8-18." Established reliability and validity for the "Roets Rating Scale for Leadership for Ages 10-18." (RRSL). The RRSL is used extensively in English and Chinese translation to identify and develop leadership in ages 8-18. Motto of program: "Lead Yourself; Lead Others." 1988 Moved to Des Moines, Iowa, to become Department Chair for Gifted Education. 1995-1999. Curriculum Director for merged school district in Sac County, Iowa. 1999. Retired from working with K-12 schools. Continued to teach teachers. Taught teachers on how to work with gifted students - credit offered through various institutions, 2002-2010 from U. of IA-Iowa City. Also taught courses on instructional strategies, curriculum design, and leadership development. Active life-long member (1974+) of American Educators Research Association (AERA) and National Association for Gifted Children (NAGC). She presented at conferences; did workshops in 28 states and 2 provinces of Canada. Retired from teaching teachers in 2010 - no longer wanted responsibility to conduct and read educational research, and evaluate educational trends. Phil, beloved husband, died of cancer and medical complications/errors. Lois stopped traveling for workshops and conferences to use energy & time to keep alive the legacy of Phil through website, memorials, publications. Established and expanded www.RoetsNotes.com for Phil's work. After Lois dissolved Leadership Publishers in 2012, her educational books and "Write & Edit Memoirs" were added to www.RoetsNotes.com. MEMOIRS work began when Lois helped a client assemble 191 files into a book. Now she helps others write memoirs and teaches "Writing Memoirs" classes. Bible; Education; Nature - trees and the seasons; fine arts (Charter Member for Women in the Arts); author of 40+ educational materials; editor for Phil's writings since 2002; supported library summer reading programs; established scholarships in Bible Studies and Science; donated Street Clocks where Lois & Phil "spent time" in Breda, IA, and Pardeeville, WI; donated outdoor benches along Iowa River, Saylorville Lake, Olbrich Gardens in Madison, WI and Butterfly Garden of Botanica in Wichita, KS. Enjoyment: family visits; rides into the country, British mysteries on DVD; reading. and share a life with Phil." - Journal of Lois Roets, 2013.